1 bedroom. King bed in the sleeping loft. Queen Sleeper sofa in the living room. 1 bath. Sleeps 4. Dog-friendly. Bathhouse access. 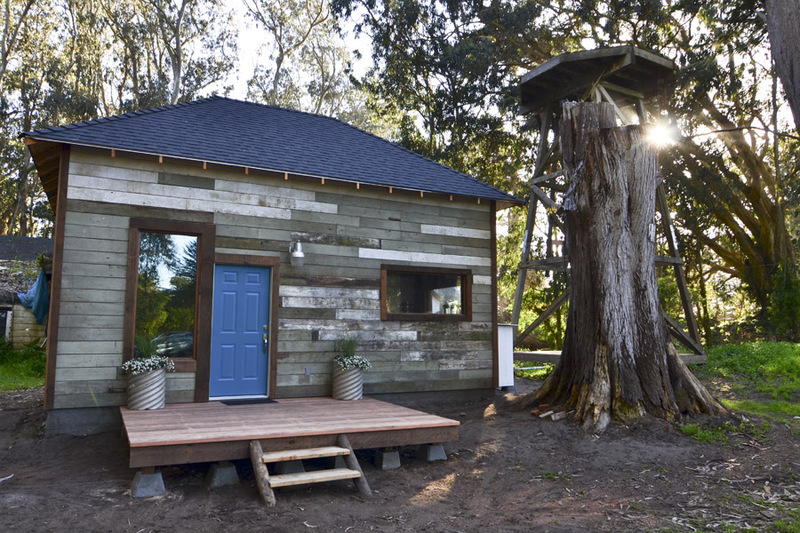 Nestled in a eucalyptus grove and steps from the beach, this cabin was originally the servants' quarters for the Ranch. We retained the exterior, including the shiplap siding, but opened up the interior to create a warm industrial loft. The loft is a short walk to the beach with views of the grove all around. The interior features a modern kitchen, radiant heat, and vintage and custom furnishings.